The religiosity of your meditation is not something outsiders can ascertain. I was already planning to write this entry when I read something eerily related in The Challenge of the Mind by Ryuho Okawa. He says that the purpose of meditation is to contact High Spirits, such as your Guardian Angel. If it was just to sit down and not think, trees and stones would do a much better job of it than us. That sounds a bit harsh. There are quite a lot of health benefits associated with non-religious meditation: Lower blood pressure, better sleep, better immune functioning, less tendency to smoking and drinking, better memory and a greater or stronger awareness in daily life. I have called it “defragmenting the brain” too, but there is Â even more than that. Still, in my experience, there is a clear difference between religious and secular meditation. Â I cannot say whether they meet in the end, because I have not come anywhere near the end of any of them, even after many years. My history with meditation began in my mid teens or so, when I learned it directly from God. (1) I was praying and felt that it was terribly rude to just rattle off my own wish list and then hang up. Â God is not a grocer or something. So I respectfully waited after my prayer, in case God had something to say to me as well. Â I understand that some people do hear actual voices from Heaven, but I did not. Â (Which is good, because I have a more scientific personality and would likely have been scared out of my skin.) Instead, I felt a benevolent Presence. Â Kind of, when you pray, you have a distinct impression that there is someone there receiving your prayer. Â I suppose some people, perhaps all people sometimes, have to take this on faith. Â But I think most of us have had the distinct impression that we have “connection”. Â This was like that, only stronger, and it kept growing stronger. Â Like there was someone right by me that I could not see, but I could feel the aura of that luminous Presence. From that experience of simply resting silent in the Divine aura, from this grew my religious meditation. Â It was an extension of prayer – it was the heart of prayer really. Â And it still is to many people, who would regard meditation with deep skepticism. Â “Meditation, isn’t that something that heathens do, and those New Age people? Â It is probably evil spirits!” Â But actually meditation has a long history in Christianity as well, although in the old days it was called contemplation, while meditation was a more active thinking on holy topics. Today these have been transposed, perhaps in the meantime there was a period of confusion where few people thought of such things at all? It was months later that a more experienced Christian caught me in the act of silent communion and asked me if I was meditating? Â So at first opportunity I looked it up. Â We did not have the Internet back then, but there was a public library in the town where I went to school. Â There I learned about the science of meditation, and I took up that as well. For years I practiced ever deeper meditation, until in my 20es I started having more and more supernatural experiences: Â Telepathy, extra-sensory knowledge and the occasional tiny blip of telekinesis. Â Scared, I prayed to God to make it stop, and I cut down quite a bit on both the frequency, regularity and depth of my meditation. Â The strange experiences pretty much disappeared after that. I have practiced meditation since then, but irregularly and not so deeply. Religious meditation in particular is something I have done only when drawn to it. There does not seem to me to be any spiritual benefits to the brainwave entrainment technology at all. Â Your spirit may vary. Â I find that to me, religious meditation is still a different experience. Â Even though LifeFlow 8 induces a “feeling” in the brain that is very similar to deep prayer meditation, it is not it. Â It is kind of like visiting the house of a friend and everything is there except your friend. There are schools of Buddhism that do not relate to a God or spiritual beings, and yet practice meditation religiously. I would think that to them there is no such difference. But I don’t really know. Â There is only so much you can experience in one life. Â But luckily we have each other to learn from. So perhaps I will know one day, if I find someone who has the relevant experience. “Directly from God”: Well, that was my experience at least. Â I have later come to realize that our connection to God may not be quite what it seems: Â Each of us seems to have a personal “branch office of God” in our heart, which can differ a bit from that of other people who also believe in God, even those in the same congregation, even those in the same family. Â Each of us has a separate “branch office”. Â I mean that for instance in each town there used to be a Social Security office, and you could go there for all your ordinary Social Security needs. Â It was unlikely that you ever had any other contact with Social Security. To the common man, this office WAS Social Security. Â But actually of course Social Security is a much more vast organization, and there are subtle differences in the way you are spoken to in one town and another. Â It seems to be the same way with God: Â There is much more to God than what any one of us knows, but at the same time God is represented in our hearts with all the Divinity we will ever need. Â If our needs for God grows, so does the God within. In this way, we grow toward each other in God, our internal God presence becoming more similar as the Light increases. Â If all goes well. This entry was posted in human mind, religion and tagged meditation by itlandm. Bookmark the permalink. I think this is the best meditation piece you’ve written in all the years we’ve corresponded. Either that or I just picked up on it a little better today. I am glad to hear that. If even one person can find something worthwhile in what I write, either when they read it or later in their life, I am happy. Someone’s been playing too much civilization. Gautama Siddharta, the Buddha, 563-483 B.C. O_o was pretty much my reaction too, which is why I discontinued that particular practice. It is common to experience strange phenomena, especially with “deep” meditations, but these experiences are distractions. We see a lot of this on Project Meditation. “I can feel energies running through my body!” “I feel a pressure in my third eye!” “I saw a milky white light and my heart began racing!” “I felt that I was floating!” and so on. And that is just the beginners. It is important to realize that this is not what meditation is for. Why do you take Happy Science seriously? 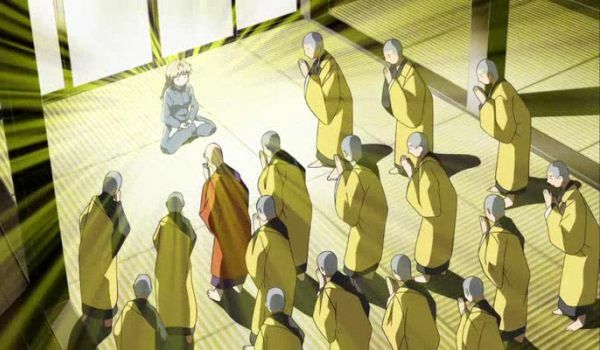 The fact that their leader claims to be a god, and the reincarnation of Buddha does not do much for their credibility. You agreed with me that they are a cult. I think I have asked you this before but I did not understand your reply. Because Okawa writes like a god. That he actually is a god is his conclusion, and he’ll have to answer for that himself when he gets to the otherworld. But this is actually a very tiny part of his teaching. He writes whole books where he doesn’t mention it with a word. And the rest of the stuff is mostly things I know but could not have said that well, or did not know but which makes sense when I see it. So it helps me think more clearly about things we don’t talk much about. And the reason why we don’t talk much about these things is that the majority of people are like you. I appreciate your presence here, because you demonstrate to me how we can be intelligent and good-natured and still have no clue about the inner half of human life. In all fairness, I was like that when I was a teenager, but lots of people continue more or less like that for life. If Okawa can wake up some of them to the fact that they are souls and this world on Earth is not all there is, they should eventually be able for themselves to compare his words to their own experience the way I do. Hopefully. I apologize for not making my words softer or being more diplomatic. English is not my first language and I do not have much time to go over what I write. I’d like to do a email interview asking you around 100 questions about your life, your faith and views on certain topics. English is not my first language either – actually more like the third, but I don’t think language is the greatest barrier between us. By all means go ahead and mail me. You write like a native or better. I use gmail (.com) and my handle is “itlandm”. Really terrific article, I liked reading through it. It had quite a few superb details. I am bookmarking this site. Thank you, but I really prefer writing for the living rather than the dead. Excellent article. I have been meditating for around 7-8 years now, and I can tell you NOTHING has had a more profound impact on my life. I have gone as many as 14 days straight meditating; mostly once per day. Around the seventh day was particularly the most intense, as I was in a state of “flow” all day for about 5 days in a row. I probably had my most creative burst of energy then as well. Question: Who is the foremost authority on meditation that is publicly available, if any? Meditation is awesome, and the benefits just keep piling up as the years pass! I see you have noticed this as well. My grandparents and their parents again never learned to brush their teeth, so their teeth rotted away and were lost. Most people have had it the same way with their mind, which is a terrible thing to lose. We need to brush regularly!